Psychiatrist and bioethicist, Robert Klitzman is currently a professor of Clinical Psychiatry at the College of Physicians and Surgeons and the Mailman School of Public Health at Columbia University. 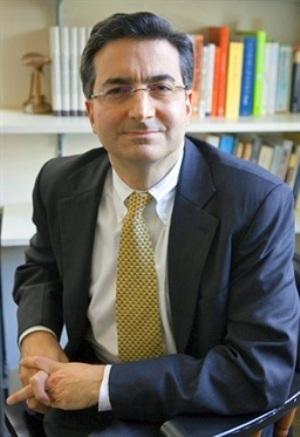 He co-founded and for five years co-directed the Columbia University Center for Bioethics, is the director of the Masters in Bioethics program, and the director of the Ethics and Policy Core of the HIV Center. He has published seven books and authored or co-authored over 100 journal articles and chapters on critical issues in bioethics including: genetics, stem cells, ethics of assisted reproductive technologies, neuroethics, HIV prevention, recreational drug use, research ethics, and doctor-patient relationships. His books include When Doctors Become Patients; A Year-Long Night: Tales of a Medical Internship; In a House of Dreams and Glass: Becoming a Psychiatrist; Being Positive: The Lives of Men and Women With HIV; The Trembling Mountain: A Personal Account of Kuru Cannibals, and Mad Cow Disease with Ronald Bayer; Mortal Secrets: Truth and Lies in the Age of AIDS, which was a finalist for a 2004 Lambda Literary Award., and Am I My Genes? : Confronting Fate and Other Genetic Journeys.